Nostrum Laboratories Inc. (“Nostrum”), a wholly-owned subsidiary of Nostrum Pharmaceuticals, LLC announced today that it has acquired certain assets from a wholly-owned subsidiary of Sun Pharmaceutical Industries Ltd. (“Sun Pharma”), including its liquids and semi-solids manufacturing facility in Bryan, Ohio, related products and the unit’s employees. Nostrum also acquired additional products from Sun Pharma’s wholly-owned subsidiaries, which products will be manufactured for Nostrum under separate agreement. 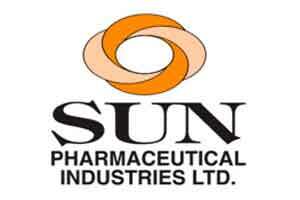 Sun Pharma will transition all sales and marketing responsibilities for the aforementioned products to Nostrum. Terms of the transaction were not disclosed. In connection with the transaction, Nostrum purchased the facility in Bryan where Nostrum will manufacture the related products which it acquired from Sun Pharma and plans to develop and commercialize products there in conjunction with its manufacturing facilities in Kansas City, Missouri and its affiliate’s research and development center in Mumbai, India. Nostrum and its parent are engaged in the formulation and commercialization of specialty pharmaceutical products and controlled-release, orally-administered, branded and generic drugs. Pharmaceutical companies are increasingly utilizing controlled-release drug delivery technologies to improve therapy. These technologies allow for the development of “patient-friendly” dosage forms, which reduce frequency of drug administration, thus improving patient compliance. Controlled-release pharmaceuticals can be especially beneficial for certain patient populations, such as the elderly, who often require several medications with differing dosing regimens. Nostrum has a rich portfolio of filed Intellectual Property. Nostrum’s rich portfolio is supported by research and development in Indiathrough its affiliate, Enem Nostrum Remedies Pvt. Ltd.